Purification Station, Meiji Jingu, originally uploaded by Eric Jeschke. 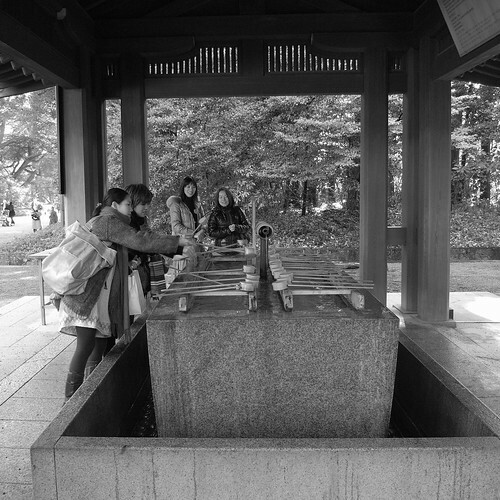 Purification station on the temple grounds at Meiji Jingu. You wash both hands and rinse your mouth to remove impurities before entering the temple area proper. Of course, you must do it in the right way. My two friends are on the far side of the basin, bemused at me being such a tourist. You can read more about the Meiji Jingu here.